Akpabuyo town is a major town and also an LGA (local Government Area) in Cross river state, the state is also referred to as tourism state and also a coastal state in the South-South region of Nigeria. Akpabuyo lies on the vegetation belt of Nigeria, it shares Atlantic coastline with Bakassi found at the east while Cameroun is to the west. The town is one of the 18 local government that makes up Cross river state, others are Abi, Akamkpa, Bakassi, Bekwarra, Biase, Boki, Calabar Municipal, Calabar-south, Etung, Ikom, Obanliku, Obubra, Obudu, Odukpani, Ogoja, Yakuur, Yala. 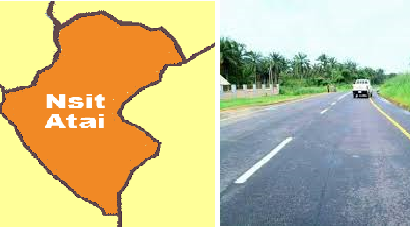 The capital of Akpabuyo is seated at Ikot Nakanda, the town has 10 autonomous villages which are Atimbo East, Atimbo West, Eneyo, Idundu, Ikang Central, Ikang North, Ikang South, Ikot Edem Odo, Ikot Eyo, Ikot Nakanda. Akpabuyo has a great population that is more than 360,000 presently while in 2006 census the population then was 271,395 and the 2011 population project shows that the population was 314,750. The land encourages Agriculture and therefore is regarded as the food basket of the state, also the town has large forest resources and a good number of species of wood. The indigene here is mostly farmers, hunters, and fishermen. The town produces lots of coconuts, kola nut, palm nut, cocoyam, cassava and sea foods such as fish, snail, shrimps, periwinkle etc. the land is also blessed with petroleum deposits, sand, limestone, salt, and gold. The town is very rich in several minerals deposit and this encourages investors to come into the town for business, while other bodies come to carry out a study on the natural resources and to use it for the development of the land and diaspora. Apart from the farming, hunting and fishing job which and average man can venture into as a means of living, there are also professionals in the town such as Doctors, Civil Engineers, Technicians, Teachers, Businessmen and women etc. who keep the town moving and making it a lively and beautiful settlement for anyone to be. The town of Akpabuyo speak Efik, Ibibio and English, Efik is a major ethnic group in Akpabuyo likewise Quas and Efuts. The Ibibio language is as a result that some migrant from Akwa Ibom state is also present in Akpabuyo, therefore the language is here from the migrant, English is an official language that was brought in during the time of the British. The people here delight much in eating Afang soup, Afia Efere (white soup), Atama soup, Efere Etighi (Okra soup), Abak Nmong Nmong Ikong, Edesi isip (efik coconut rice), Edikaikong Soup, Iwuk Edesi (Native jollof rice), Surf and turf otong soup, Efere Ine (Fisherman’s soup), Ekpan Nkwukwo, Ukwogho Etidot ( Efik Bitter leaf soup), Abak Afang (banga) soup, Iwuk Ukom (plantain pottage), Yam with Ukang sauce, Editan Soup, Ukang Ukom, Steamed Cocoyam (Ayan Ekpang), Otong Soup etc. facts remains that the food eaten in this town is much because of reasons, I will stop here. The town is occupied by Christians, traditional worshippers are hardly seen even though they still exist in the community. Churches have really grown and become successfully in this area and some of this churches are Assemblies of God, Redeem church of God, Apostolic church, TREM, Olumba Obu, Cherubim, and Seraphim etc. There are many festivals in cross river state and Akpabuyo is not left out in the participation of the festival. Some of the festival participated by the people of Akpabuyo are NEW YAM FESTIVAL, THE BOAT REGATTA FESTIVAL, EFU FESTIVAL, FATTENING FESTIVAL. The Boat Regatta Festival; this festival is celebrated once a year by the Efik in remembrance of tribal wars in time past, the festival could be a competition or ceremony. The Efu is observed once in two years and it usually a wrestling competition. The Fattening Festival is performed to celebrate the transformation of the female children to Adulthood. The New Yam festival which is common in another state in Nigeria is performed to celebrate the high produce of Yam in the town. The festival is usually every year and it starts from August to October. Akpabuyo is a good settlement and a fast developing town in the heart of Cross River State and has few Airport close to the town and these are Akanu Ibiam Intl Airport, Margaret Ekpo Intl Airport, Calabar Airport and Mamfe Airport.